T.D. Styles Trucking Ltd. Transporting Overdimensional Loads Throughout Western Canada, Northwest Territories, Yukon, and Alaska since 1981. T.D. Styles Trucking Ltd. specializes in transporting overdimensional loads throughout Western Canada, Northwest Territories, Yukon, and Alaska. Headquartered in Nisku, Alberta, we have been serving the oil and gas industry since 1981. With a fleet of trailers in varying sizes and configurations we have the capacity to meet your overdimensional transportation needs. T.D. Styles Trucking Ltd. can accomodate same time multiple unit deliveries when required utilizing a network of reliable independent trucking firms. Arrangements can be made for short term storage at our Nisku facility if required. Your overdimensional trucking and transportation requirements will be professionally handled with reliability and efficiency at T.D. Styles Trucking Ltd. Some of the overdimensioanl loads transported by T.D. 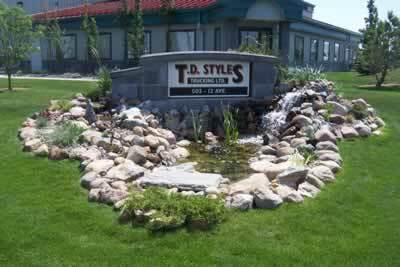 Styles Trucking Ltd.